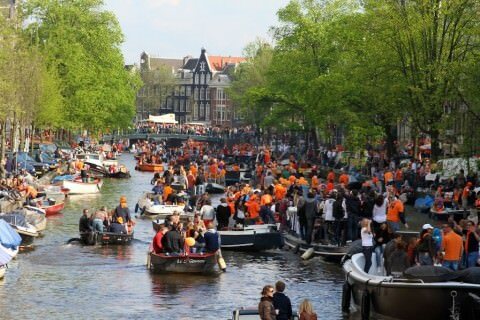 Queen's Day in Amsterdam last week. 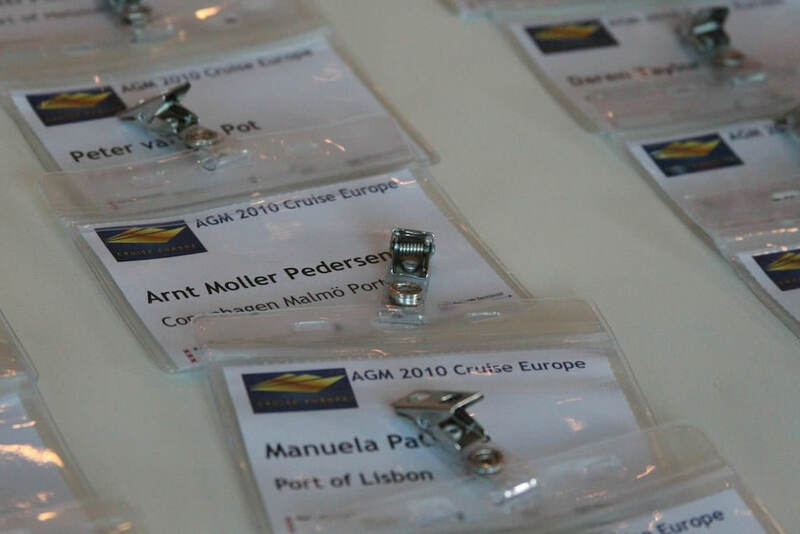 Last week as Amsterdam prepared for the lively celebrations on Queen’s Day, members of Cruise Europe gathered at their Annual General Meeting (AGM) to discuss the future of cruising in Northern and Western Europe. 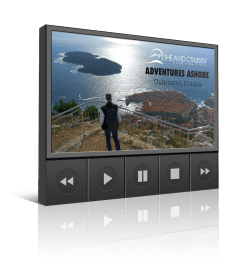 Indeed, cruising in Europe is experiencing unprecedented growth. Not only are more ships being deployed in Europe than ever before but also Europeans are taking to cruising like ducks on water. Introducing the speakers, Chris Ashcroft, publisher of the trade magazine Dream World Cruise Destinations, told AGM delegates that the number of Continental Europeans who took cruises last year increased by nearly 16 percent when compared to 2008. During the same time period, the number of North Americans taking cruises grew by only 1 percent. 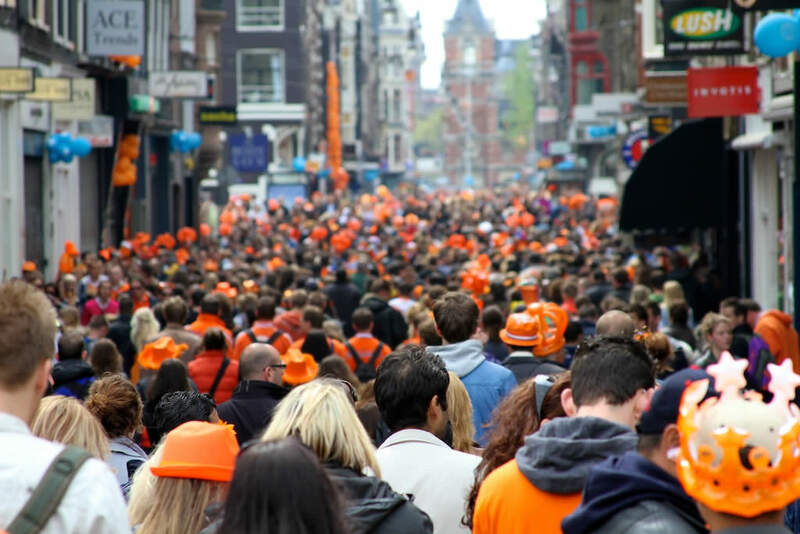 As a whole Europeans cruised in numbers that reached nearly 5 million in 2009, compared to slightly more than 10 million for North Americans. What do the numbers mean? That Europe is where North America was 15 years ago, when cruising was just beginning to hit its stride in the United States and Canada. In 1995, the number of all passengers who had cruised worldwide was just a tad under 5 million. North Americans dominated, accounting for 90 percent of those passengers. Today, North Americans still dominate, but Europeans are catching up quickly. That’s particularly evident in Cruise Europe destinations. “We’ve seen a shift from 95 percent North American passengers to 50 percent in the past 10 years,” says Valerie Dubuc, cruise coordinator for the Port of Le Havre, France. And in Copenhagen this coming summer, German passengers will outnumber Americans for the first time ever, according to Ole Andersen, senior director sales & marketing for Wonderful Copenhagen. Europeans not only are cruising in record numbers but also European destinations are benefitting from cruise lines marketing Europe as a prime cruise destination. The total number of bed days featuring European destinations and marketed to North Americans saw nearly 23 percent growth last year compared to only a 4 percent increase of Caribbean/Bahamas bed days and negative growth in Alaska (-1.5 percent) and Western Mexico (-14.3 percent). 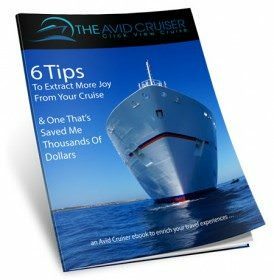 The message: Cruise lines are moving the bulk of their capacity to Europe. During the current cruise season, Princess will carry more passengers to Cruise Europe ports than ever before, Bruce Krumrine, vice president of shore operations for Princess Cruises, told AGM delegates. “And 2011 will surpass 2010,” he added. Holland America Line has started beefing up it Europe presence, with seven ships in Europe, including its newest vessel, the upcoming Nieuw Amsterdam. Indeed, the Queen’s Day celebrations that coincided with the conclusion of the AGM seemed to underscore the upbeat mood in Amsterdam and throughout Europe. Anyone charting the course for the cruise industry in Europe can clearly see blue skies and smooth sailing ahead. Amsterdam and a sea of orange hats.